Laid up with an injury? Here are some thing you might be able to do after checking with your P.T. or Doctor. One is “Swim Running”. Read this previous post here. Another is Nordic Walking – walking with poles. Here are, “Thirteen reasons to take up Nordic Walking”. This is an excerpt from Nordic Walking for Total Fitness. It’s published with permission of Human Kinetics. “Poles aren’t just for skiing anymore. Nordic walking offers fitness enthusiasts a unique workout that combines fun physical activity and maximum health benefits. According to Malin Svensson, author of Nordic Walking (Human Kinetics, May 2009), walking with poles offers a low-impact exercise that increases the heart rate as much as running does. Studies have shown that Nordic walking burns more calories than regular walking. Research done by the Cooper Institute proves Nordic walking burns an average of 20 percent more calories than walking without poles. Some people tested also increased as much as 46 percent in oxygen consumption and caloric expenditure. Similar to an elliptical trainer, Nordic walking uses both the upper and lower halves of the body, but Svensson says Nordic walking offers more upper-body benefits. “The elliptical machine uses bent arms and mainly works muscles crossing the shoulder joint, such as the chest and the back muscles,” she explains. “But Nordic poles allow you to also straighten the elbow behind you, shaping your triceps.” Nordic poles are measured according to a walker’s height, as opposed to the elliptical machine, which is one size fits all, Svensson adds. 1. Burn more calories (20 to 46 percent). 2. Increase aerobic capacity even at a slow speed. 4. Increase heart rate (5 to 30 beats per minute). 5. Take pressure off the joints. 6. Decrease neck and shoulder pain. 9. Feel less effort, even though the body works harder. 10. Improve balance and stability, making it safe to walk. 11. Improve gait and coordination. 12. Improve core musculature and posture. 13. Create a meditative and calming effect. Given these frigid temps, it’s important to consider when to warm up and stretch. Here’s a good article on why you need to stretch from Running Well, printed with permission of Human Kenetics. “Despite conflicting evidence on it’s benefits, we think neglecting to stretch is a bad idea! The trouble is, because many of us dislike it, we don’t spend enough time or effort on stretching and then it doesn’t work – reinforcing our belief that it’s a waste of time. However, doing it properly may result in a very different experience. To understand why, you need to know a little about what stretching does. what happens when you stretch? When you first take, say, your calf muscle, into a stretch, muscle “spindles” located among the muscle fibers detect a change in the muscle’s length and report back to the spinal cord. The nervous system sends a message to the nerves governing these fibers to tell the muscle to contract, in order to take it out of the stretched position. This is known as the “stretch reflex.” However, if the stretch is maintained for more than a few seconds (which, in many a runner’s case, it is not! ), another, more sophisticated receptor, located where the muscle attaches to the tendon and called a Golgi tendon organ, comes into play. This receptor can detect not only changes in the length of the muscle but also in the amount of tension it holds. So, hold that stretch and the Golgi tendon organ, noting that the muscle fibers are contracting and lengthening, triggers a reflex relaxation of the muscle (via a process called autogenic inhibition) to protect the muscle from damage. This is why easing into a stretch slowly and then holding it allows the muscle to relax and lengthen. Over time, stretching can increase the length of the muscle, or at least maintain it at – or restore it to – its optimal functioning length. But why does this matter? 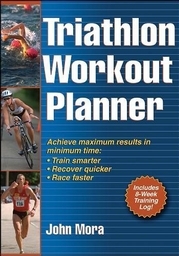 Well, running, as you probably realize, involves repeated contractions of specific muscles over a long period of time. This can leave the muscle fibers shorter in length than normal, and misaligned (like hair that needs combing). Stretching is the process we use to restore muscles to their resting length and realign these fibers. Without it, we risk them shortening permanently (by a process called adaptive shortening) and, in doing so, altering the function of the joints they are connected to. For example, if the hip flexors (which work very hard in running) tighten and shorten, they pull the front of the pelvis down and throw the lower back out of alignment, which can have all sorts of knock-on effects. What’s more, flexibility naturally declines as we age if we don’t maintain it – and changes take place in muscle fibers and connective tissue. Collagen fibers within the connective tissue thicken and, without regular stretching, get stiffer. Soft tissue becomes more dehydrated, decreasing joint lubrication and causing creakiness. One study concluded that stiffness and lack of flexibility were more a result of lack of use than of age per se, while another – on ageing runners – found that stride length declined primarily as a result of decreased range of motion at the hips and knees. Range of motion at the knees during running decreased by 33 percent and at the hips by 38 percent between the ages of 35 and 90. So, while we can’t categorically say that stretching will reduce injury risk or improve performance, it will help to restore muscles to their resting length after the continual contraction involved in running, help to maintain range of motion in the joints and prevent tightness and imbalances between muscle groups. * A flexible joint uses less energy to work through its full range of motion, so good flexibility will enable you to run more efficiently. * Increased supply of blood and nutrients to joint structures helps keep them healthy and mobile. * Stretching improves neuromuscular coordination (the nerve impulses that travel from the body to the brain and back). * Muscular balance, body awareness and posture are enhanced. * Stretching helps to flush out metabolic waste products post-run. * It gives you time out to relax and reflect on your session. Many of us know what water running is because we’ve been injured and wanted to keep the cardio up or as a preventative measure to reduce the bodily stress of pounding pavement. 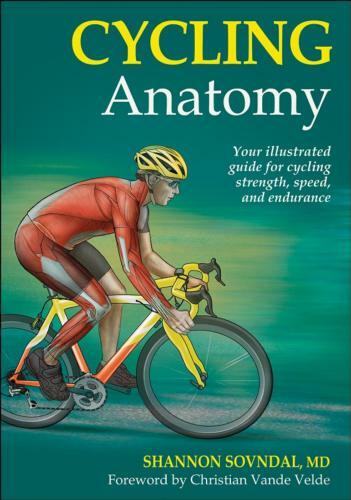 Here’s an excerpt from Running Anatomy. It’s published with permission of Human Kinetics. “Most runners have been introduced to water running as a rehabilitative tool for maintaining cardiorespiratory fitness after incurring an injury that precludes dryland running. However, runners should not assume that aquatic training’s only benefit is injury rehabilitation. Running in water, specifically deep-water running (DWR), is a great tool for preventing overuse injuries associated with a heavy volume of aerobic running training. Also, because of the drag associated with running in water, an element of resistance training is associated with water running that does not exist in traditional running-based training. Being injured set up back on your schedule and can psychologically as well. I’ve had more than a few injuries and am in fact, being treated for two now. If you want to avoid these set-backs, please read on. This excellent excerpt reprinted with permission from Human Kinetics of Triathlon Workout Planner by John Mora. body’s signals in order to make quick and timely adjustments. defensive mindset is the single best thing you can do for yourself. in it, making it hard to accept the blatantly obvious warning signs. track workout or one extra set of ascending laps will do no harm. Toward the the first two, I just saw a new book worth checking out. It’s called Running Well. 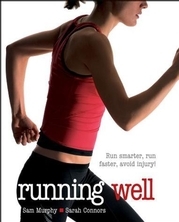 In the following article about the book, reprinted with permission from Human Kinetics, the authors explain some of the ways to avoid running injuries. According to running expert Sam Murphy, [running] problems are often caused by errors in training and technique and can be avoided. Simple mistakes, including wearing the wrong shoes, increasing mileage too quickly, or not varying sessions enough, are responsible for 60 percent of running injuries. “By learning the difference between training and straining and honing your technique, you can minimize the risk of injury and the training setbacks it inevitably brings,” Murphy says. Overstriding. Trying to make a stride too big puts the muscles in an inefficient lengthened position, causing the foot to land in front of the knee and creating a braking effect. “Overstriding usually happens when you are trying too hard to run faster,” Murphy explains. Wasteful movement. Runners waste energy by incorporating too much up-and-down movement instead of focusing on forward motion. “A common cause of a bobbing action is lifting the knees too high up in front and pushing off the toes,” Murphy says. A very short stride can also be to blame. Excessive supination. Oversupination occurs when the foot doesn’t roll in enough and remains on the outside edge. This action reduces the foot’s ability to absorb the shock of impact and increases the risk of stress fractures, especially along the outside edge of the foot and shin. Hip drop (Trendelenburg gait). A Trendelenburg gait occurs when the pelvis shifts too far from side to side. “As a result of weak adductors and abductors, the hip of the swing leg drops and the hip of the stance leg pops out to the side because the muscles aren’t able to hold the pelvis level,” Murphy explains.